The Beige Box saga continues: Getting a Sound Blaster Audigy to work in DOS. I mentioned early in March that I was working on throwing together a retro gaming PC using parts I’d gotten from an eWaste bin, from thrift stores, and from digging through boxes in my closet. I even recorded a video where I talked about the hardware a bit, and was going to do a sequel video… and then I realized that, while any given text post on this blog gets about a hundred views in the first day or two, the video took over two weeks before it even hit double-digit views. It was educational to MAKE, anyway. I have some good ideas of how to make future videos better, but they involve spending more money and I’m not entirely sure I want to do that. But, anyway, that post was focused on just finding all of the hardware needed to make a working computer and didn’t cover the software side of things. 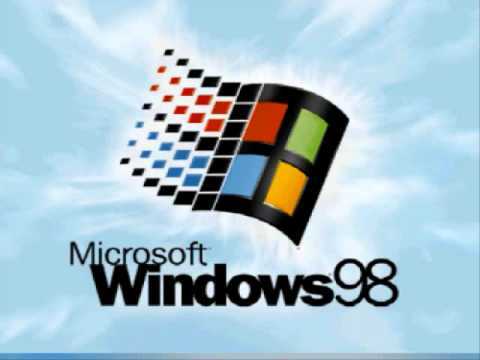 For the given era of PC games I’m interested in, I decided on Windows 98SE as the ideal operating system. I know that there are games that will not work on 98 that did work on 95, but they are vanishingly few in number and 95 was just a little more twitchy then I really wanted to deal with. Also, you can boot into DOS mode… once you track down DOS drivers for your CD-ROM, mouse and sound card, that is. Let’s talk about that. The sound card I am using is a Sound Blaster Audigy, which sometimes gets described as the “1394 model” because it included a Firewire port. It is the last sound card from Creative with official DOS support, though its DOS support is done through SB16 emulation. So, it won’t sound exactly like an OPL-based card, but it’s probably good enough. Getting it to work in DOS was tricky, though, because the installation CD I had didn’t include the DOS drivers and then I couldn’t get them installed once I found them. It turns out that they require a Windows 95 VXD-style driver, while the Audigy installer selects the WDM drivers by default. To get the card working in DOS, I needed to remove all of the drivers that had been installed, reboot so Windows would see the card and prompt me for a location for drivers, manually select the Windows 95 drivers from the install CD and THEN install the DOS support after I had those working. That gave me audio support in DOS mode, but I still didn’t have a mouse because I was using a USB mouse. Worked fine in Windows, but not when the computer was rebooted into DOS. So, I found a PS/2 style mouse, plugged it in, and immediately lost all sound. It turned out that my motherboard had assigned IRQ 12 to the Audigy, which created a conflict with PS/2 mice which use that IRQ by default. So, I said some unkind things and went into the BIOS and disabled both COM ports, freeing up IRQs 3 and 4, and then the motherboard was able to shift things around so I could have both sound AND a mouse at the same time. I was way too happy about getting this to work. I guess the point I’m trying to make is that, gosh, computers sure have come a long way in the last 20 years. www.vogons.org – Officially, “VOGONS” stands for Very Old Games on New Systems, but there are a lot of resources on there for people trying to make old systems work – especially their vogonsdrivers.com site, which is a trove of old drivers. How To Install USB Mass Storage Device on Windows 98 from raymond.cc – while Windows 98 supported USB devices, it didn’t have a general-purpose mass storage driver. I didn’t have a working floppy drive (much less any blank floppy discs!) to start, so getting stuff on to the beige box was a pain and I was going through a bunch of blank CD-ROMs. This article saved me a lot of hassle.